The Southern Cape is one of South Africa's top tourist destinations and offer a vast majority of things to do and attractions. The area is also a sporting paradise offering from skydiving to golf. George is the undisputed mecca of Golf in South Africa with Fancourt hosting the President's Cup a couple of years ago. Golf games can be arranged at several of these top courses including the George Golf Course, Fancourt, Montagu, Bramble Hill, Links, Outeniqua, Pezula, Simola and the Mosselbay Golf Club. Oudtshoorn also offers, amongst others, Ostrich show farms, Meerkat Adventures, Wine farms, 4x4 routes, the world famous Cango Caves, Cango Wildlife Range, Mountain Biking up Swartberg Mountains and many, many more. Hiking Trails, Faerie Boat Trips, Elephant Park, Game Reserves, Sea Adventures, Horse Trails, Helicopter flights and the Garden Route Casino only gives you an indication of what else is on offer. 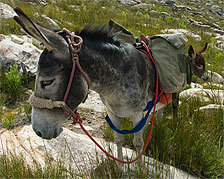 Oudtshoorn is renowned for it's variety of tourist attractions and activities. We, here at Oasis Backpackers assist you to not only make your visit a memorable occasion whilst, at the same time, offer you discounted rates to some of these attractions. OUDTSHOORN CAN KEEP YOU BUSY FOR DAYS! 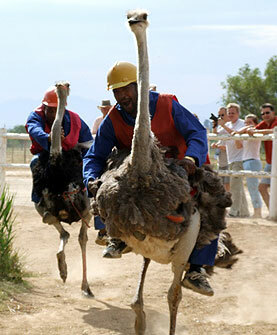 Visit an ostrich show farm: hug a bird; stand on an egg; ride an ostrich; do the tour. Climb through the postbox and the devil's chimney at the world famous Cango Caves. 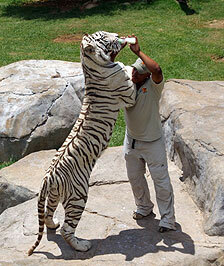 Visit the Cango Wildlife Ranch: stroke a cheetah or rare white Bengal tiger; walk through the Valley of the Ancients; cage dive with live crocodiles. Do the Meerkat Adventure Sunrise Tour: walk with Devey and a wild colony of Meerkats. Booking essential. TBI Adventures: Multi-activity day & overnight trips; hiking; kloofing and kayaking; quadbiking; microlighting; mountain biking. 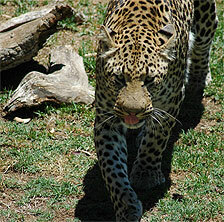 Do a game drive at a game reserve: Early morning or sunset game drives on quad bikes, horseback or land rovers. Elephant safaris also available! Go winetasting at one of our local vineyards. 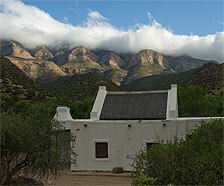 Stroll around the town viewing traditional Karoo architecture dating back to the feather boom. Drive the Swartberg Pass through Klaarstrom & Prince Albert, stopping off at the bottomless pool at the base of a waterfall. Olive tasting and factory tours at Olea Olives.